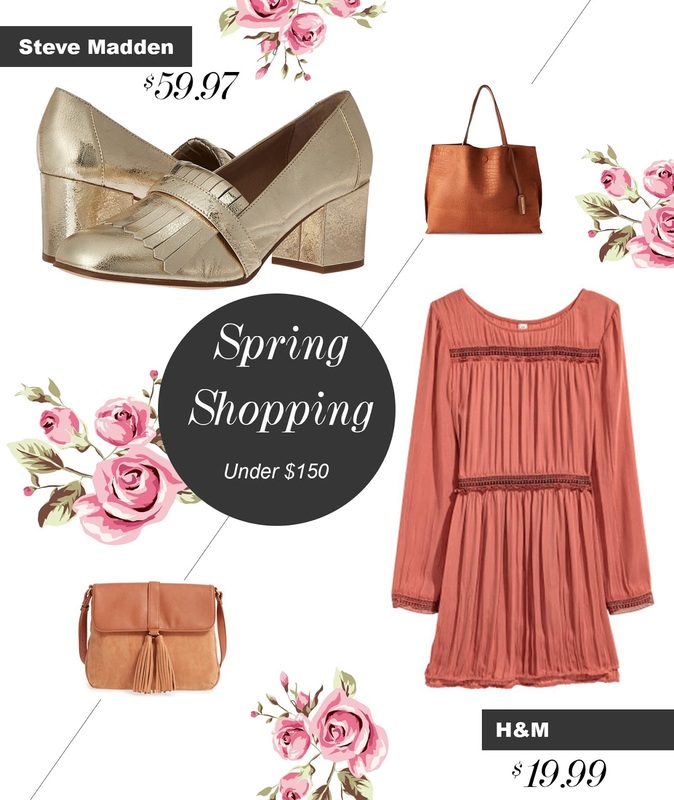 While we were on the subject of slowly leaving the cold, winter days behind with a round up of my favorite outfits of this season ,I just had to share my a few of my Early Spring finds (and deals). There is no better way to help you live through the last foggy days of Winter than shopping for the next season, Am I right? I just love a chic, flowy , floral dress and thankfully this Band Of Gypsies floral maxi dress (under $100) is currently available at Bloomingdales. I am a bit shoe-obsessed at the moment ,especially from the moment I laid eyes on Loise et Cie loafer mules in beige and the Steve Madden 'Kate' loafers (only $59), the only obvious problem is deciding which color do you really prefer! Scroll down to see all Spring favorites under $150.